The legendary Georg Kreisler is remembered for his unparalleled political cabaret chansons ouevre, uncanny pianism, and inimitable performances. But that he also wrote classical music remains a little known fact. In the early 1950s at the start of his cabaret career in Manhatten, he composed, among other things, several works for piano solo. That these compositions exhibit the same traits as his otherwise distinctive artistic persona - nonconformist, audacious, unremittingly original - is as logical as it is self-evident. This compact disc couples the first recording of these early unknown piano works with the first recording of his last completed composition in 2011. 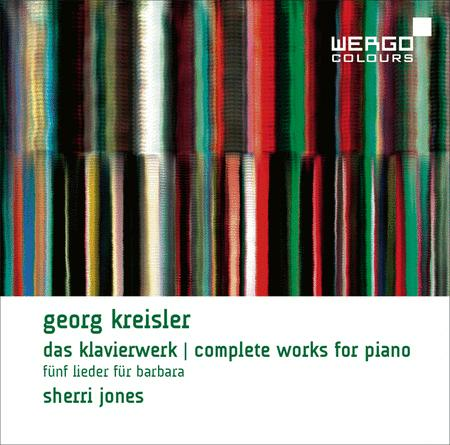 The pianist Sherri Jones was made aware of this uncharted side of Georg Kreisler only by chance, and, at his request, she premiered the works between 2009 and 2012. A productive collaboration began; Jones then introduced Schott Music to this extraordinary find. Kreisler's assessment of her playing: "The pieces are interpreted with such perfection and insight - beyond what I was capable of in my best years." The works in question are Three Piano Pieces (1947), which could hardly be more contrasting in style; a spirited, menacingly virtuosic Sonata for Piano (1952); and a group of five thematically linked Bagatelles (1953). 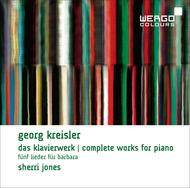 In early August 2011, a few months before his death, when Georg Kreisler sent Sherri Jones a new autograph, he remarked: "Your exceptional efforts with my music have inspired me to once again turn my attention to classical music. I just completed this cycle of five songs for mezzo-soprano, piano, and violin." With their references to Schubert, polytonal excursions, and pointedly frugal style, the "Funf Lieder fur Barbara" were to become Georg Kreisler's Schwanengesang.